Major digital music and streaming services Amazon, Google, Pandora and Spotify on Thursday filed separate appeals of a U.S. Copyright Royalty Board ruling that greatly increases royalty rates paid out to songwriters. Apple is conspicuously absent from the list of appellants. The filings, lodged with the U.S. Court of Appeals for the District of Columbia Circuit, represent a unified effort to disrupt the CRB's 2018 decision to grant writers a 44 percent bump in mechanical royalty rates, reports Variety. Amazon is thought to be appealing the CRB ruling for similar reasons. That the online retail giant also filed its appeal on the same day as Google, Pandora and Spotify suggests it is associated with, or was aware of, the collective effort to fight royalty increases. Apple Music did not appeal the CRB ruling, and Variety sources say the company does not intend to do so in the future. The move was lauded by songwriter organizations, including the National Music Publishers' Association, which is expected to file its own notice of appeal. "We thank Apple Music for accepting the CRB decision and continuing to be a friend to songwriters," said David Israelite, president and CEO of the NMPA. "While Spotify and Amazon surely hope this will play out in a quiet appellate courtroom, every songwriter and every fan of music should stand up and take notice. We will fight with every available resource to protect the CRB's decision." In simple terms, mechanical royalties are reimbursements paid to license holders when a song is reproduced and distributed, whether it be a physical pressing, digital sale or stream. The advent and proliferation of streaming services has complicated the reimbursement structure, while the lack of an adequate accountability apparatus further dilutes already low per-play rates for artists. Actions by the CRB, as well as the Music Modernization Act, seek to bring aging copyright legislation up to speed in a bid to better cope with a fast-moving digital music industry. 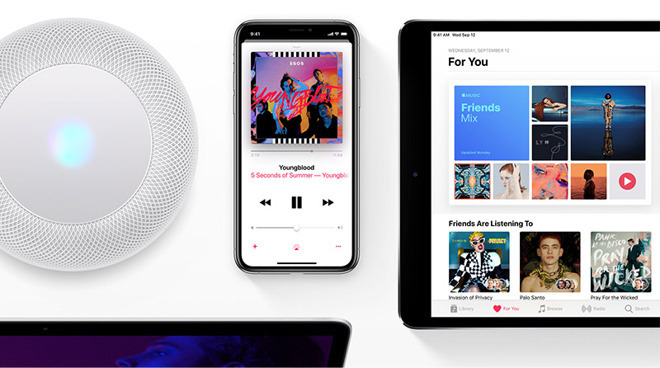 Apple, which bills itself as a friend of musicians and songwriters, has in the past attempted to address artist complaints. In 2016, roughly a year after Apple Music launched, the company issued a proposal to the CRB calling for a flat royalty rate on streaming content.